Located near downtown Walnut Creek, the Walnut Creek Marriott is pleased to welcome you on your trip to San Franciscos East Bay. With a sensational view of Mt. Diablo and a short drive to Napa Valley, youre trip to the Bay Area will be perfectly suited to your wants and desires for an ideal getaway to Californias Coast. Exploring Walnut Creek has never been easier, a complimentary shuttle can pick you up and take you around town to your favorite attractions; including the Broadway Plaza Mall, Lindsay Wildlife Museum, or the Lesher Center for the Arts. You can even be dropped off at the BART to seek out your favorite sights in San Francisco! After a long day exploring the East Bay area, you can cool off by a crystal clear outdoor pool, enjoy a meal of Baja California Fusion on-site at trio, or kick back and relax to live jazz music in the Lobby Lounge! 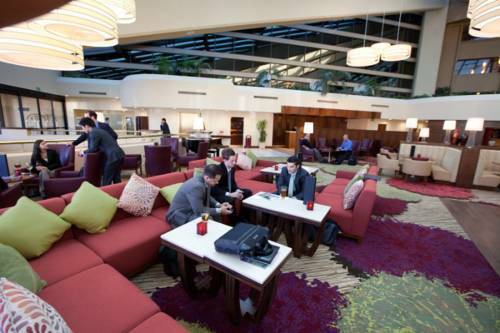 When you visit the San Francisco Area, youll enjoy comfort, convenience, and impeccable service at the Walnut Creek Marriott. trio: Our style of cooking imparts the unique flavors of California. trio offers incredible cocktails, perfectly paired wines by the glass & several local brews. Starbucks: Enjoy fresh Starbucks coffee in our lounge. Seasonal drinks, coffee and more!